Ray Dison is ready to provide an estimate or install your window tint or Removable Solar Shades. … when and where you want it! Protect your home — your investment — with new Removable Solar Shade Inserts. Call today for a FREE estimate! … are guaranteed with the right window film. Call Best Solar Control today and start protecting your furniture — and your views! We can tint windows or make Removable Solar Shades to fit ANY window shape or size! Ask us about adding tint to the windows at your business for safety, security and energy efficiency. … to a better view! Let us protect your doors and windows today. At Best Solar Control, we use cutting-edge solar solutions to protect and beautify the finest homes, cabins and businesses in North Georgia. Let us protect yours! We work with some of the finest window film companies in business today, including Maxpro Window Films, based in North Carolina. We use quality window tinting films to block up to 99.9% of damaging ultraviolet light. In addition to its blocking power, solar control window film also passively reflects and absorbs up to two-thirds of the sun’s heat. So there’s less need for curtains and draperies. 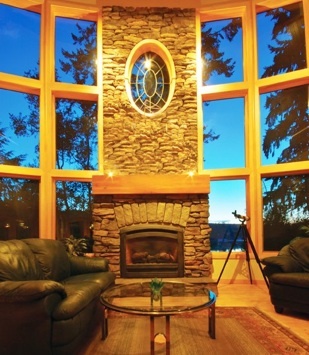 Solar control-type window tint film also has an insulating effect that keeps in the heat during colder winter months. In either case, you will see a reduction in your energy bill while still being able to see the view outside! With more than 25 years of experience in the window tinting industry, owner Ray Dison proudly stands behind his work with a LIFETIME WARRANTY!